We have established ourselves as a reliable and reputable company in the UK. We have a fantastic range of hatboxes from small to big sizes. Our passion is quality and customer focused. 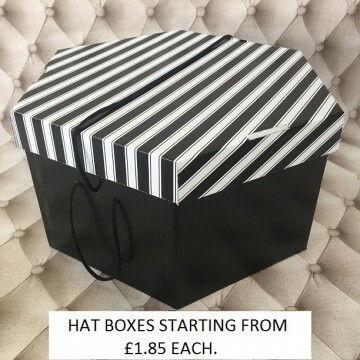 Our hat boxes are used mainly for hats' fascinators, tiaras, accessories, cupcakes, handmade chocolates, hampers and small gifts. All boxes are supplied with a chord handle and Ideal for milliners, fashion and gift shops, they are also quick and easy to assemble (see assembly video). 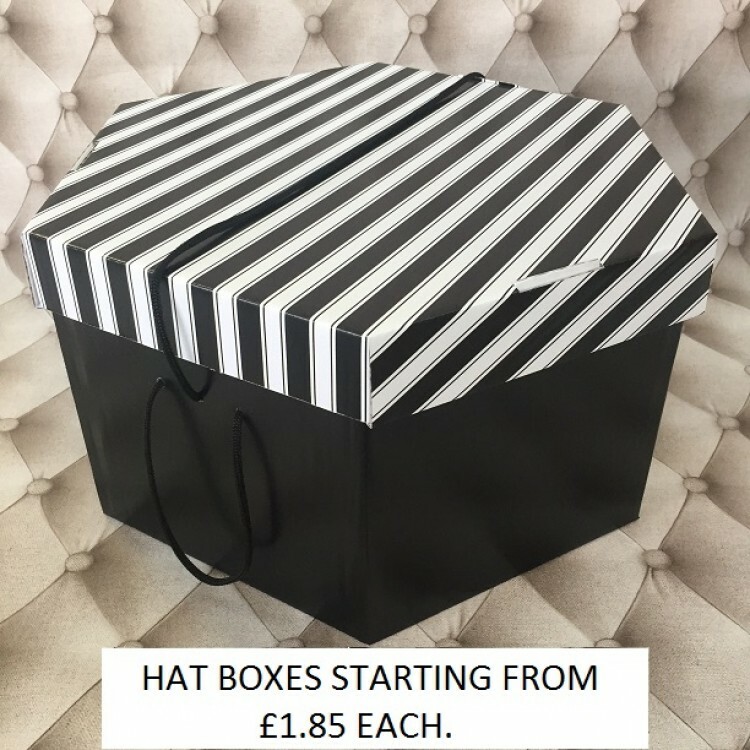 All of our hat boxes are made in are Lichfield factory made up of 100% UK products, from acid free board and have a machine varnish to stop the colour of the box rubbing off on to your customer’s clothing. Not all hat box manufactures and supplies can boast this. And remember we will not be beaten price. Bespoke your box by having your personal logo on the lid of the hatbox (call for quote).